the we hunted the mammoth (formerly man boobz) blogger archive: Sharing is caring! You: Today I helped make Man Boobz bigger! Friend: Wait, what? 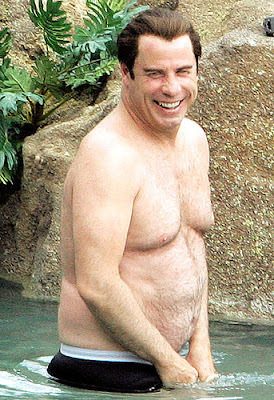 Did you bake John Travolta a pie or something? You: No, silly. Not that kind of manboobs. Man Boobz, the blog! Friend: OMFG you are so cool! EDITED TO ADD: Thanks, Reddit submitters! And tweeters! I cover interesting posts from this blog over on my you tube channel and link here, I even made a brand new intro for the "manboobz blog" segment that I hope to be regular. I have some mra and mra types that watch, so it's a segment that gets voted down sometimes (tee hee). I'm thrilled I found this blog.